Close to Denver, the Dream Stream is a six-mile section of the South Platte River that includes the Spinney Vail Valley and Eleven Mile reservoirs. Even in your wildest fishing dreams, you would be hard-pressed to find a more plentiful supply of trout in picture perfect surroundings. 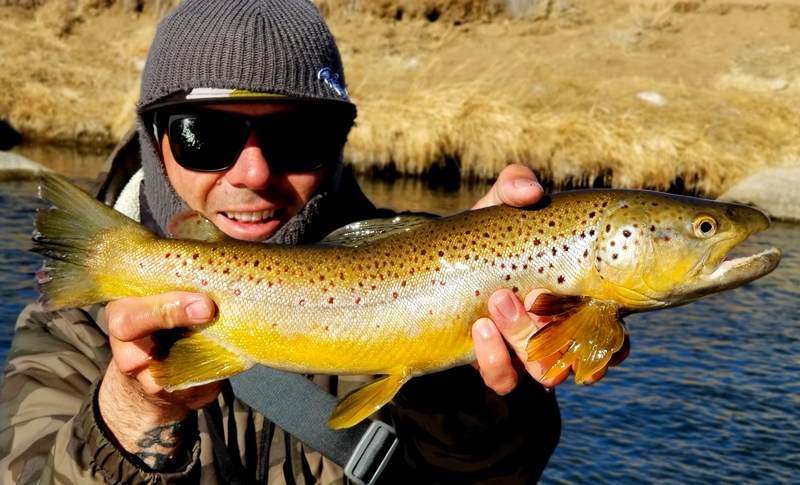 We’ve had a nice little bump in the flows on the Dream in the past week or so and with it the fishing has been good for both lake run and resident fish. With the bump in the flows we have seen a bump in crowds so plan on some competition on the water. As with the last few weeks be mindful of redds as you are wading and if you see fish spawning leave them alone. With the bump we have been seeing quite a few fish eating a worm or leech rig but your standard tiny droppers are still going to be your money makers. Dark Rs2s and WD-40 seem to be just too good to pass up and you’ll find fish small and large just smashing them. Most of your fish are going to be holding in the deep water for the majority of the day but if you see a good hatch take the split shot off and look for fish to be moving up in the water column. Want to Fish With us on the Dream Stream?